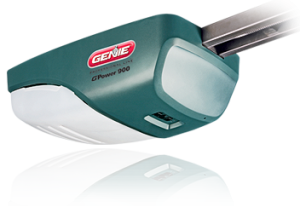 Our selection of garage door openers Encino CA includes a variety of horsepower capacities for small and large doors. However, going by size alone isn’t always advisable. You also need to make sure that you take the weight of the door into consideration. Small doors made of heavy materials and oversize doors made of light materials may need the same amount of lifting power. Our inventory also includes direct drive, screw, chain, and belt openers. These different drive types allow you to choose an opener system that meets your goals regarding things like easy maintenance or ultra-quiet operation. While many aspects of your garage door opener fall into the out of sight, out of mind category, the remote isn’t one of them. You might be excited to get a multi-function remote that can also control your gate, or you might be satisfied with a simple one button remote. Our high-tech remotes offer lots of premium features and pair with openers offering motion detection control panels and keypads. Regardless of what your specific needs or concerns may be, we’ll help you find a quality remote and opener that will satisfy them. You can come to Carroll Garage Doors with any kind of garage door opener problems you may have, whether they are related to the opener motor, the tracks, the remote, or any other feature. We’ll give you our honest opinion as to what’s wrong with the opener and whether it should be repaired or replaced. You may also be interested in getting preventative maintenance services like safety inspections, opener motor tuneups, and lubrications in order to keep your opener in great condition.